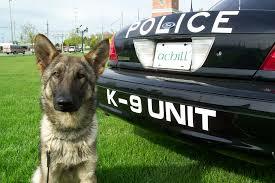 For whatever reason, Chris and I watched a few police dog shows on Animal Planet over the weekend. I found them fascinating. 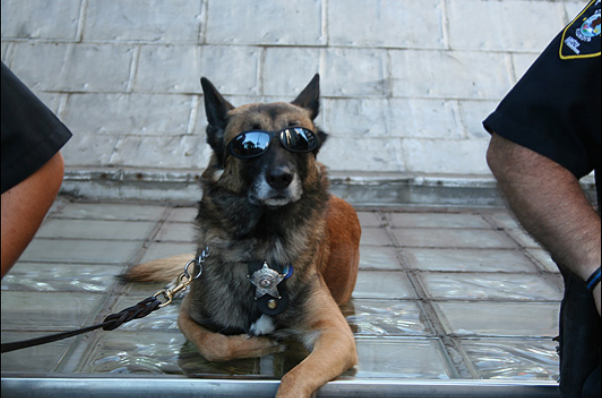 The story of Diesel, the police dog killed in Paris also heightened my interesting police dogs. I have always been impressed with the interaction between humans and canine in working dog situations and the shows that I watched this weekend served to cement my respect for the teams. Yes, I wondered irrationally, why does the dog have to go in first? The answer is obvious, canine cops save human lives at their own expense. And then, yesterday, I ran across an article in the Washington Post titled, The surprising reason more police dogs are dying in the line of duty. I was appalled at the answer. During 2015, 11 of 26 police dog fatalities have been due to heat exhaustion--particularly being left in a hot squad car! That is unacceptable to me. These dogs are trained to take a bullet for their handlers, they deserve a lot more respect. My take: the use of animals in work roles means the handlers need to be more aware of their needs. Be they dogs or horses or oxen, the humans need to ensure that the health of the animals are considered at al times. Sure, some jobs are inherently dangerous, like Diesel running into a room filled with suicidal terrorists; but for an animal to die because they were left in a hot car is--criminal!